Performed in Latin and German. 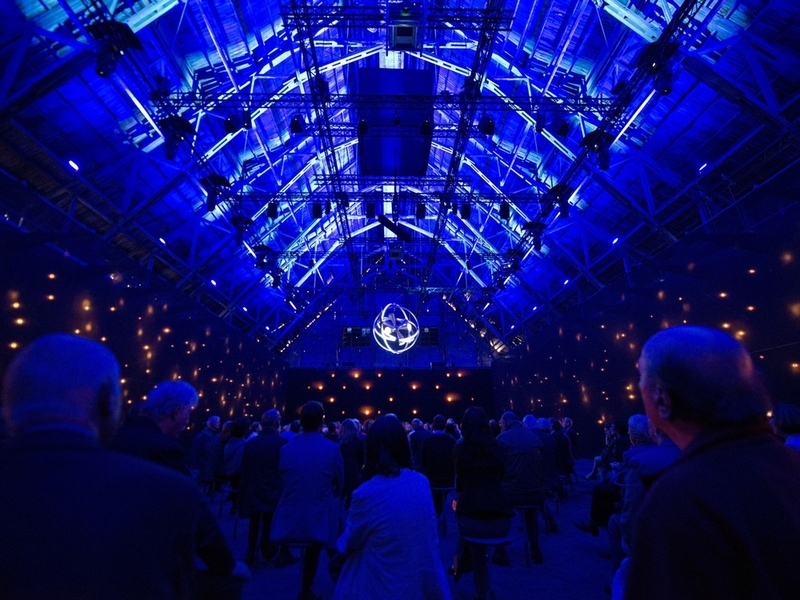 Commissioned by the Art Festival Weimar, Robert Wilson designed a space/sound installation to Franz Liszt's Via Crucis, the 14 Stations of the Cross, in the magnificent former Viehauktionshalle (Cattle Auction Hall). 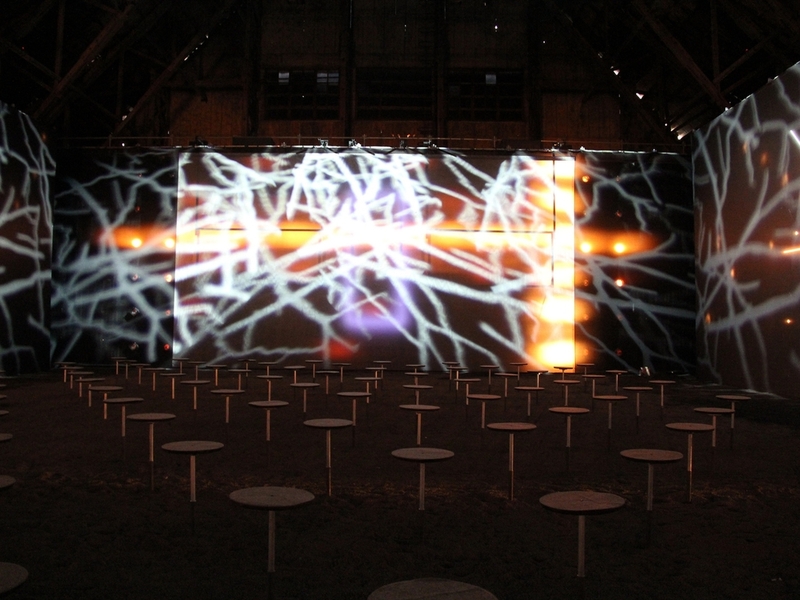 The music was not performed live but had been recorded by musicians from the Weimar Conservatory, and was played in the space using wave field synthesis and 150 hidden speakers. 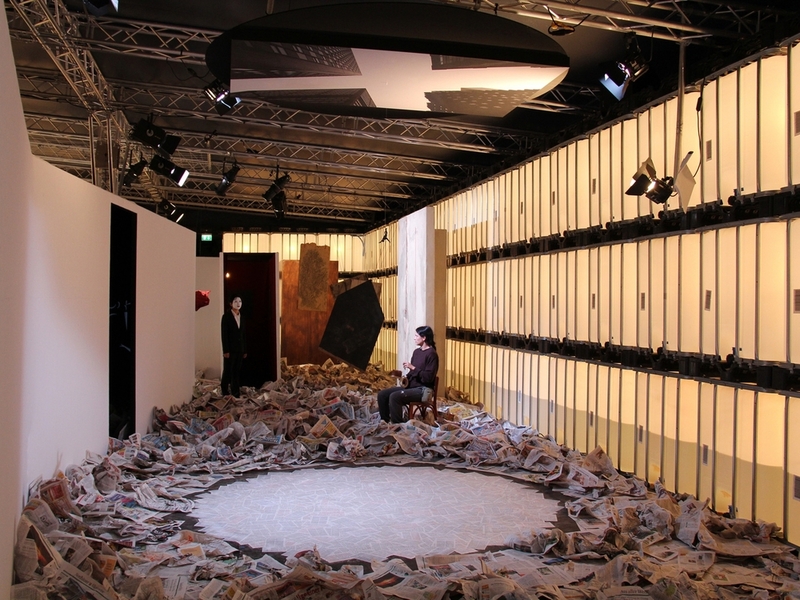 As a prelude to the Liszt work, students of the Bauhaus University Weimar created works as temporary art installations and performances - a "purgatory," in the words of Nike Wagner, then the Festival's Artistic Director. These works had been developed at The Watermill Center and the Bauhaus University under Robert Wilson's curation and mentorship. Via Crucis is perhaps the closest Liszt came to creating a new kind of church music through combining a new harmonic language with traditional liturgy. While the overall atmosphere is restrained and devout in feeling, the harmony underpinning the music is experimental, including an extensive use of the whole-tone scale. While the composer uses familiar chorale and hymn tunes, the overall impression aurally is of an unsettled tonal language. Three of the 15 numbers (an introduction along with depictions of the 14 Stations of the Cross) employ sliding chromatic lines and harmonies; and when those harmonies do come to rest, they are often diminished or unique. Other Stations use successive chromatic chords and may abruptly end on a single tone.